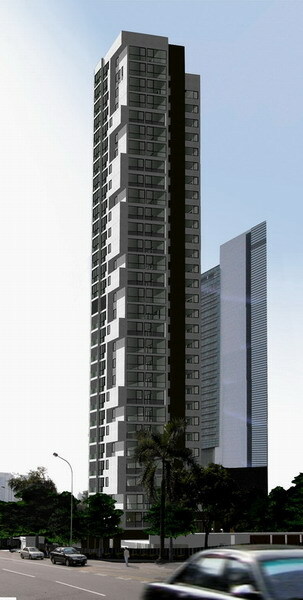 Redesign proposal for an apartment block in the KLCC area. 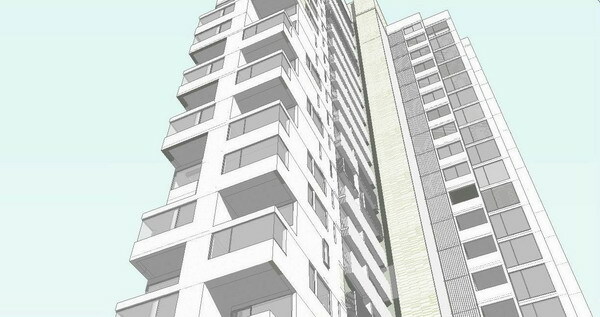 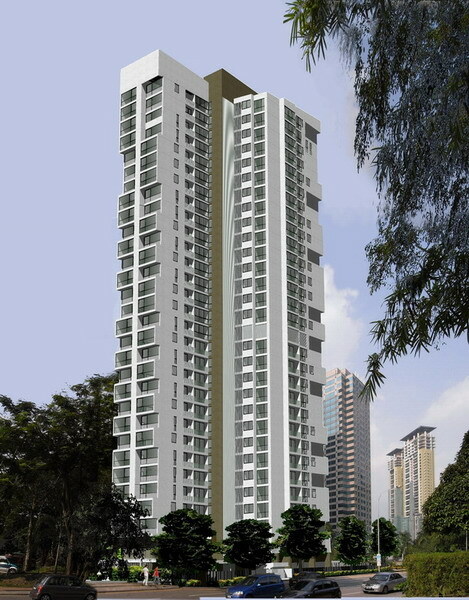 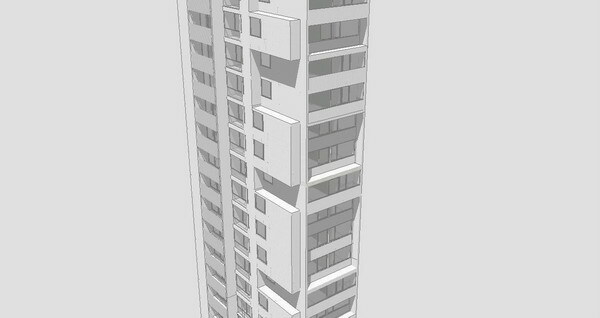 This 30 storey building is to have 54 units comprising 2-6 bedrooms in 6 different configurations. 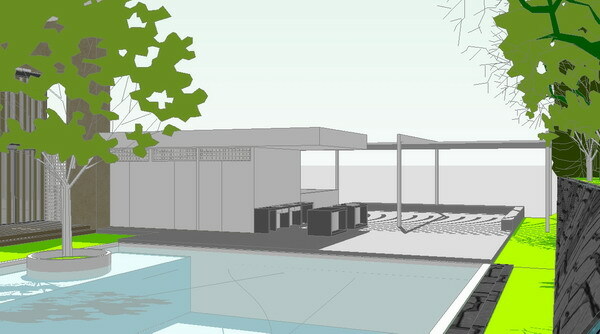 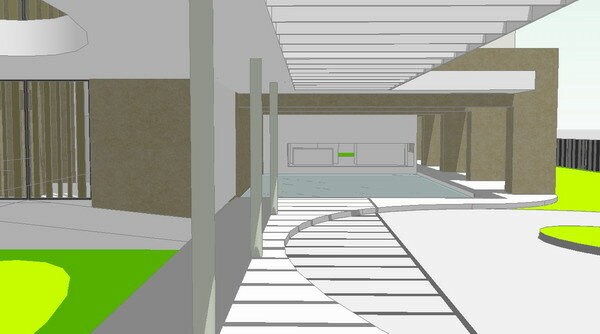 Compositional interest was given to the block by flipping unit types, creating voids and shadows in a random pattern.The ground level was conceived as a timber lantern where the glass envelope is layered with timber slats, providing ventilation and security, rhythm and texture to the building. 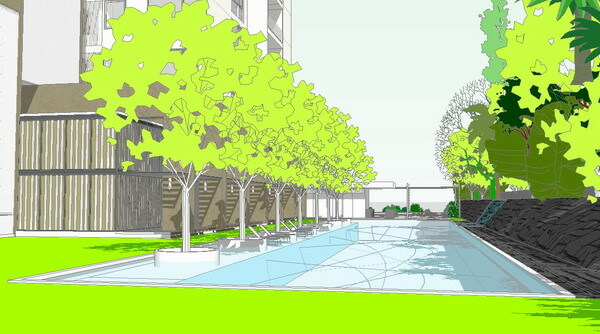 The project should be complete by 2011.